Yes, I can program 95% of the oddball chips too- just ask if you don't see it on the list. Is Your Computer non-functional after a do-it-yourself BIOS update? Send in your chip for Erase / Reflash / Verify. Yes, Your Chip is still good. It just contains incomplete or incorrect information. Have you ever wondered if you can make your PC just a little faster or make it a little more up-to-date? Then after downloading the BIOS files from the Internet- your PC stops working. You are not alone- it happens to alot of people. No, you don't have to go out and buy a brand new PC. Saves you hundreds of dollars- instead of buying a new PC- use the one you own. I have all of the necessary equipment. Extensive list of chips that can be reflashed. 100% compatible with all BIOS files on the MFG's websites. You supply the BIOS file on a burned CD. Download your BIOS file by going to the MFG's website and looking up your model number. If your chip is not on the list- contact me by email. You only need to send the Chip itself and the burned CD containing the BIOS file. Use this to solve no-boot issues, black screens, compatibility issues, and more. Quick turnaround Time approx 1-2 working days in most cases. Excellent Bios Flash Service, Speedy, Reliable, Great Communications. Fast turnaround, excellent response time. GREAT value vs other services. This listing is available for USA buyers only. I answer all questions promptly and personally. 5% of the oddball unlisted chips are problematic for even the MFGs so email me before clicking BUY-IT-NOW to make sure I have the equipment for the job. Please email me your BIOS chip's information before clicking on Buy-It-Now. If you don't see it listed here- please contact me. 4) Located the BIOS file you want programmed on the MFGs website, you can email it to me too. 5) Send me your old chip in anti-static bag or pierced in a styrofoam scrap piece. 5) Were you able to download the BIOS file from the MFG's website? Why is reflashing your old chip better than a brand new one? Full 100% compatibility with your system is assured. MFGs use the highest quality chips with the fastest access times. Remember your computer reads the BIOS chip at bootup and also when the operating system asks it to. Slower cheap quality chips don't look any different. The performance is important, and you may wonder why your computer locks up so much after having installed the cheap clone type BIOS chips. 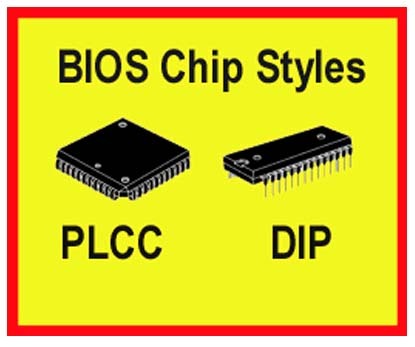 Avoid non-original clone type BIOS chips as they are not a good match and will lead to lockups- I reuse your original chip and that assures 100% good as new BIOS. Quality is assured and it is redone by a pro with 30 years experience. Exactly like the factory does it, using the same reflash equipment. Have an oddball chip not on the above list? Just ask. For most people, their current computer is just fine for what they need to do. Buying a new one is not possible for financial reasons. Transferring all the software they had on their old system is either a hassle or not possible due to being unable to find the cds and disks. My BIOS reflash is a great solution for many people and gets many systems up and running again. No, it doesn't fix all problems- like a computer hit by lightning or bad electronics. My fix is to repair BIOS issues and the most common cause is the user trying to download the BIOS from the MFG website and either doing it wrong or having a bad BIOS file download from the website. Got a PC "Brick" after a bad BIOS re-flash? 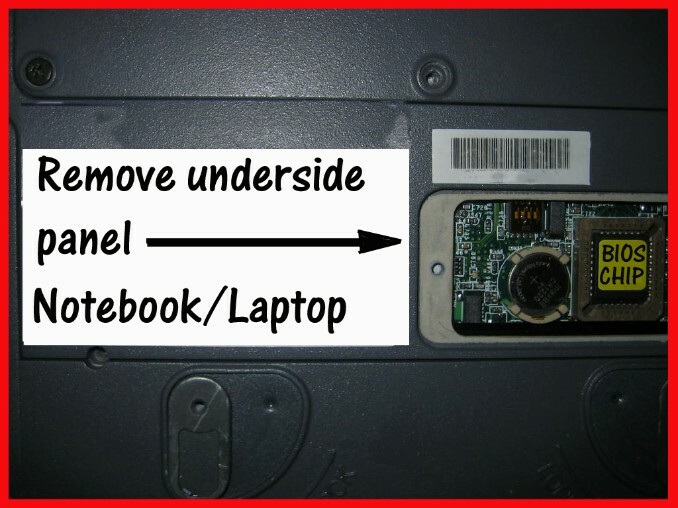 Only socketed removeable type chips in desktop or tower PC. 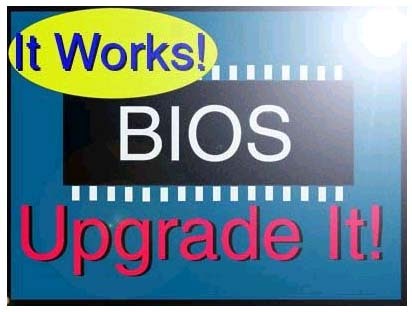 Reflash your BIOS for Bug Fix, latest BIOS version, hard drive USB or other feature support, corruption of BIOS, lockups, black screen, no boot, garbled information and more. YOUR ORIGINAL CHIP Restored. - AS GOOD AS NEW. (if located elsewhere please send email question). I do not restore BIOS chips for non-USA buyers, sorry.